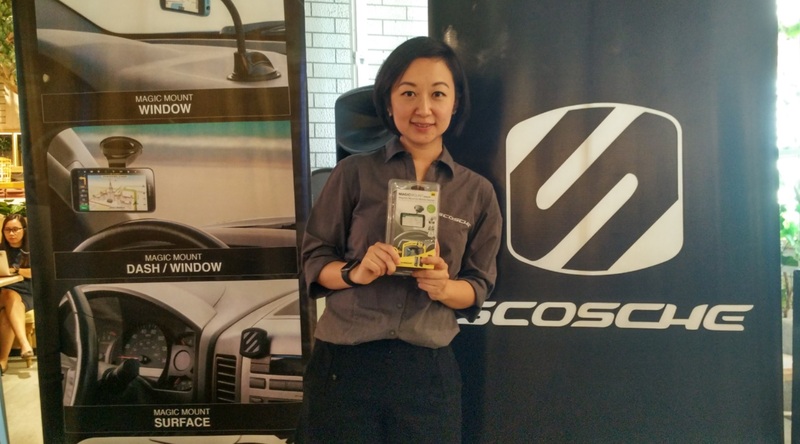 If you're out in the market for car audio products or accessories, then you've probably heard of SCOSCHE Industries, the innovators of award-winning consumer technology in the automobile segment. 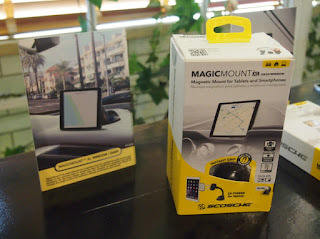 Now, the company has announced the magicMount Pro, the latest addition to its multi-award-winning magicMOUNT series of magnetic, cradle-less, smartphone mounts that enables drivers to securely place their devices in an optimal position to keep them safe on the road while still having maximum visibility. With the magicMOUNT Pro, drivers can keep their focus and their hands on the wheel while still making calls hands-free. They can even invoke Siri or Cortana and navigate with the GPS to help them with directions and whatnot. It combines style and functionality that delivers a more convenient mounting system for your daily use to help you keep track of your mobile devices. The magnetic mounts of the magicMOUNT Pro are available in three variants: two of which feature interchangeable trim rings in Black and Silver, with Carbon Fiber, Rose Gold, Gold and Space Gray coming well under way. The new lineup features the magicMOUNT Pro Vent, magicMOUNT Pro Window/Dash and the magicMOUNT PRO Dash. Those who need a stronger grip can go with either the Pro Window/Dash and the Pro Dash models, while those that want that extensive “on-the-go” versatility can't go wrong with the Pro Vent. 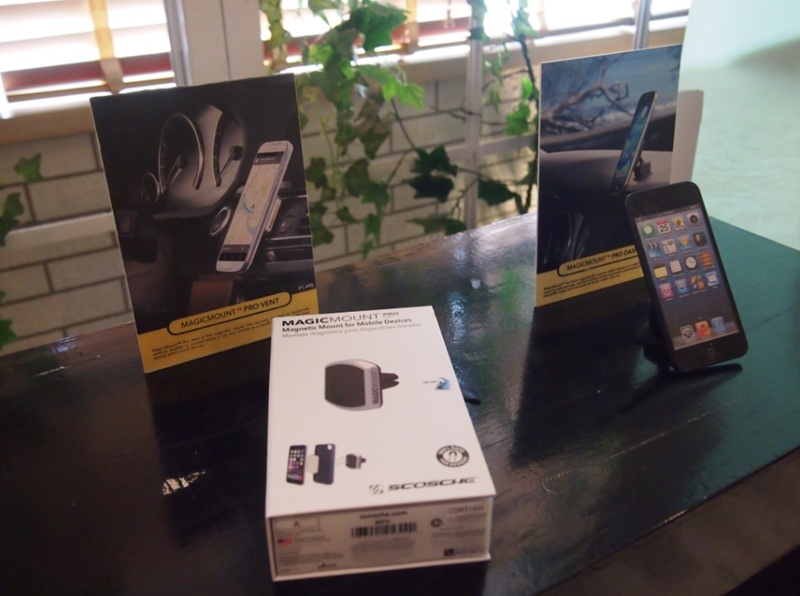 Equipped with high-powered magnetic system made out of 100% device-safe neodymium magnets, all magicMOUNT models can easily secure mobile devices. The lineup's open design allows users to mount their devices in 360-degree fashion to offer countless orientations as well as full access to the controls and ports. Scosche is also launching a powerful car charger that can juice up your device, a charge-and-sync micro USB cable, as well as a hands-free audio car kit and a 90-degree audio cable. The Scoshe products are distributed in the Philippines by Digits Trading Corporation and available through leading gadget and lifestyle stores in the country, namely Beyond the Box, Digital Walker, Astroplus, Astrovision, Case Studio, Columbia, Blade, BZB Gadget Hive, Easy Skate, Ecentral, Data Link, District 32, Globe, iCenter, Fashion Rack, Gadgets in Style, iStore, Landmark, Inbox Store, Islands and More, Mobile 1, Mountain Hardware, Listening Room, Microstation, ROX, Royal Pictures, Odyssey, Resorts World Manila Online, Rustan’s Department Store, Volkswagen Philippines, SM Department Store, The Brick, Winter Pine, and Wusify Philippines.